Situated in the heart of beautiful Strathspey in the Highlands of Scotland between Aviemore and Grantown, Nethy Bridge is the perfect centre to enjoy the countryside of the glorious Scottish Highlands and has easy access to a vast range of activities throughout the area. 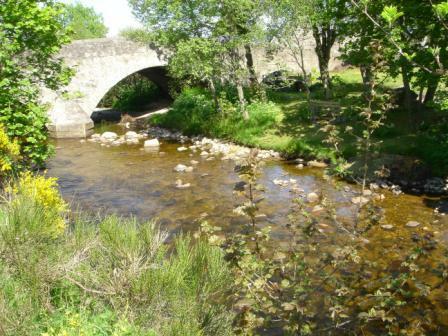 The village of Nethy Bridge - often affectionately referred to simply as "Nethy" has been a holiday destination since Victorian times, yet it remains unspoilt with the majority of accommodation hidden away in quiet locations next to the ancient Caledonian pine forest. With the dramatic backdrop of the often snowcapped Cairngorm mountains and hundreds of acres of Abernethy Forest (RSPB owned) Nethy Bridge spans the lower reaches of the River Nethy a mile before it reaches the River Spey, one of Scotland's foremost salmon rivers. 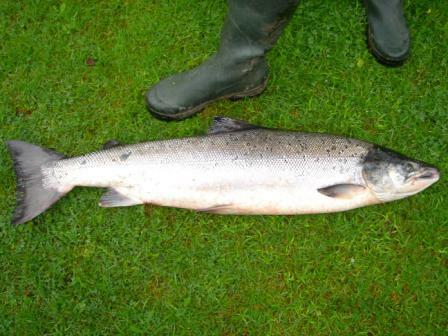 Derraid's owners are keen Anglers and salmon/trout fishing can be arranged in local rivers or lakes on request. The Cottage is situated on a lovely quiet road close to the village shop and Nethy Hotel for Bar meals. It is nestled back from the road and has its own pathway leading down to a the river Nethy and a walk through the forest. The abundant wildlife of the National park are all around the cottage and Deer, Birds and Red Squirels are frequent visitors to the Garden. Within 5 minutes walk is a Childrens Play area & Playing field and the local Nethy Bridge Golf Course! Derraid underwent a full renovation in late 2010. This included a new Kitchen and Bathroom Suite with all new fixtures and fittings throughout. There is a Fridge, seperate 4 drawer Freezer, Dishwasher & Washing Machine in the cottage with a Tumble dryer outside in the Shed. A Wooden Childrens Highchair is also available. Derraid is fitted with Freeview Satelitte TV. Also Wireless BT Broadband is installed for your own internet access. You'll find Derraid the perfect Cottage to use as your base to relax and explore this wonderful part of the Scottish Highlands!